I want to begin by giving a huge thank you to the PCPP community. I really could not have envisioned, planned, perfected, and built my PC without the help and inspiration of everyone on this website. I can't recommend this enough to anyone this is thinking about or planning a PC build. I remember first discovering this site and thinking Man, one day I'll post my PC up here too, and now typing this, with that PC right at my side is just crazy, really. It all began close to 2 years ago, during June of 2016. A little Kevin lay in bed on a hot summer's night, not able to sleep because he was just so bored. Now, little Kevin had been a console peasant all his life, playing games on his Xbox One for the most part; but he wanted something more. He lay there, thinking, and suddenly he asked himself Why don't I just build a PC?. And, that was how it began. Well... sorta. We'll keep it that way because it sounds a lot more dramatic. I guess it is true that I had the idea of building a PC while laying awake in bed in June of 2016. After I managed to fall asleep, and wake up the next morning, I jumped straight to my laptop, a 2012 Macbook Pro that could barely surf the web without overheating. Using online guides and Amazon, I managed to put together a PC build in 1 day! Of course though, it was utter crap. And I found that the hard way after asking the LTT forums if my build was any good. If I remember right, I think it had like a i7 6900K and a GTX 970 or something like that? Anyways, from that day on, I didn't bother about what my build was going to consist of just yet, but rather browsed the interwebs for hours on end, quenching my thirst for knowledge on PCs. After about a solid 6 months of researching, I decided it was time make my own System Build list. But what exactly did I want? I had become so fascinated with PCs and all their different parts and how they all magically work together to produce whatever you want. I decided I wanted a PC for gaming and that I would feel proud of and would think This is MY PC every time I looked at it. So, that's basically how Riptide was born. So if anyone's wondering why I named my PC Riptide, years and years ago I used to read a book series called "Percy Jackson" by Rick Riordan, and in that the main protagonist has a weapon by the name "Riptide", which is deciphered from the Greek word "Anaklusmos". I wanted something original for my PC name and thought Riptide sounded cool, so that's why I named my PC it. 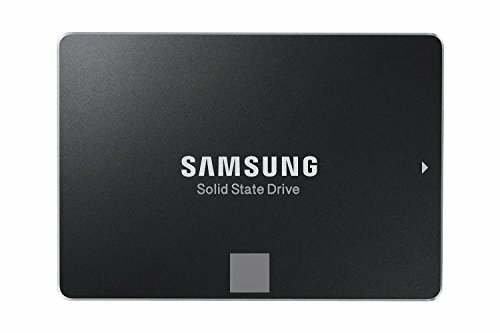 So I knew I needed something that could keep up with my GPU (more on that later) without feeling held back and could multitask if I ever needed it to. 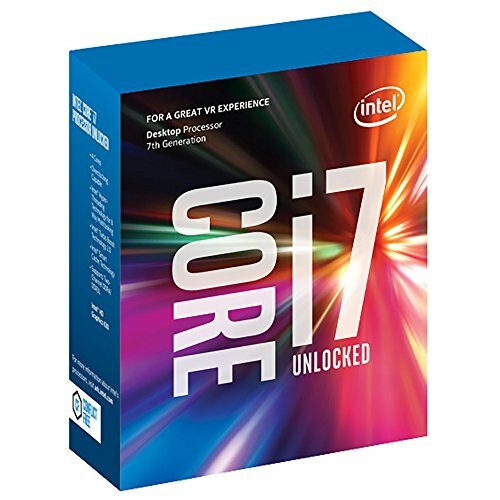 I chose the 7700K as my processor right when it was released at CES 2017, and ended up purchasing it at a MicroCenter in Atlanta, Georgia in June of 2017, So, if anyone is wondering, that's why I don't have the CoffeeLake i7 8700K in my rig, Anyways, I very happy with the performance of this chip. Runs great, stays at a decent temperature under load, and I got a nice 4.8GHz @1.296v overclock on it too, although I think if I wanted too I could probably push it further :). Next off, the motherboard. I knew I was going to stick with ASUS for my motherboard brand after reading on their high reputation, and upon seeing the board first revealed, I knew this was going to be the perfect one for my system. In my opinion, the Maximus series of motherboards from ASUS are hands down the most aesthetically pleasing, provides the most stable overclocks, and are highest quality of motherboards on the market. Great board, would definitely recommend for anyone with a budget that allows. Not much to say about the CPU cooler. I decided to go for a AIO because, quite frankly, a lot of higher end air coolers just look like rocks slapped onto CPUs (lol) and I didn't want to have to deal with the maintenance and immense amount of planning needed for a full custom loop. I chose the Kraken X52 for its mesmerizing RGB and size compatibility with my case. Keeps the CPU under 72C on full load and looks great :). The RAM was surprisingly a hard choice for me. 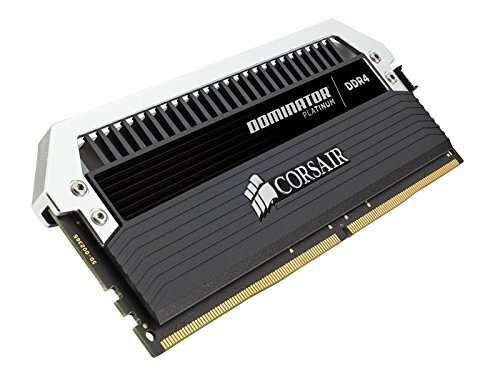 I had kept going back and forth on getting G.Skill Trident Z RGB RAM and the Corsair Dom Plats, but I ended up getting the Dom Plats for their classiness. Slapped the lightbar modkit on it too to really make it shine. 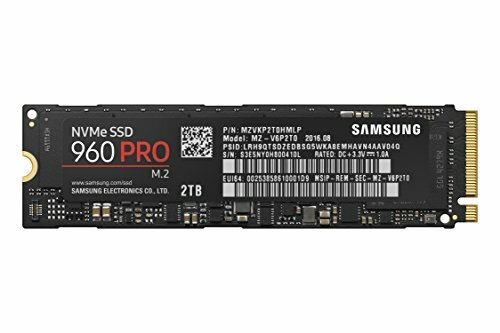 I decided on 32GB and 3600MHz because I wanted to be able to use this RAM for years to come without feeling the need to upgrade. Unfortunately I decided to buy my PC components when basically prices for everything were inflated, so after weeks of waiting for prices to potentially drop, I ended up just buying this kit of RAM anyways. The GPU was definitely the one part that I spent the most time on. After waiting for months for the rumored 1080Ti to be released, I knew I would be getting one after it was eventually released in March of 2017. I had wanted a EVGA Hybrid card for their high reputation and cooling capacities, but I also wanted to get a FTW card for overclocking. So, after months of delays, the FTW3 Hybrid was finally released in July of 2017 and I immediately purchased it straight from the EVGA website before stock ran out. By far the best decision I made for this PC. Runs games amazingly well, runs cool, looks good, and, like my CPU, I managed to get an overclock I'm very happy with on it. 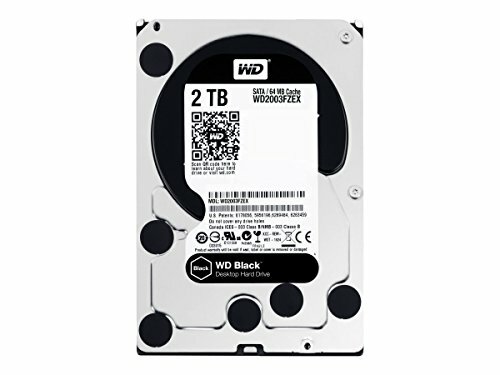 As for Storage, I decided on the 960 Pro 512GB for being my boot drive and for storing applications i frequently use; the 850 Evo 1TB for a lot of the games I play often; and the WD Black 2TB for storing basically anything else. What more can I say other than they all run fast :D.
The moment I found the Phanteks Enthoo Evolv TG, there was going to be no other case I would use for my PC. It's absolutely gorgeous. Oh and, I guess it''s nice that it's a breeze to work in as well :). So many of you are probably asking yourself why a man needs SO MANY FANS. And to that, I answer, why not :D. In all seriousness, I wanted to ensure ULTIMATE COOLING POWERRR, and with head phones on I don't hear my fans anyways since I had a pretty moderate fan curve for them. The Ml120 fans are also very high quality and won't fail to ensure ULTIMATE COOLING POWER if that's what you're going for haha. For the power supply, I wanted something reliable so I decided on the EVGA G3 series. And, I know I probably could have gotten away with a 750 watt power supply, but at the time the 1000 watt variant was cheaper than the 850 watt variant, so I got it. I also chose to purchase CableMod Carbon cables because the stock cables aren't the prettiest. They look great but are a PITA to work with. 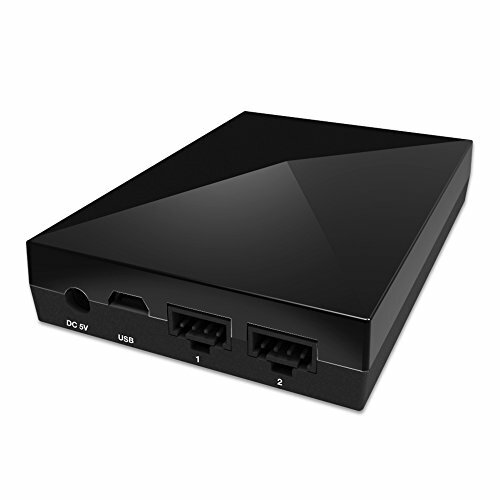 If anyone has noticed that I have the NZXT Hue+ in my part list, but not in the pictures of PC, its because I didn't realize that the X52 would take up the only internal USB header on my motherboard, so unfortunately until I buy the internal USB hub from NZXT I can't hook it up. Overall, building Riptide was fairly straight forward and easy. With this being my first build, there were of course some problems I ran into. For starters, I guess I had never really thought about how I would install my fans. But I just couldn't figure out how to install my fans. I ended up messaging mind_mechanic, and he advised me to do what he did and buy matching nuts for the screws that came along with my case accessory box fan screws. After 3 days of building, I was finally ready to boot. and it powered on my first try! Well... kinda. My first problem I ran into was my RAM not being seated properly, which I quickly fixed. But then, for some reason, my PC still wouldn't boot into my BIOS. After a couple of hours of troubleshooting, I realized that for some reason, my motherboard didn't like my keyboard USBs being plugged into it, so after plugging them into my monitor's USB ports, wallah! A boot! Successfully! WOO HOOOOOO!!! Overall, I am extremely pleased with the way this PC turned out. I can't have possibly wanted anything more from it. Over the hundreds of hours I've spent planning, researching, and building this PC over the last 2 years, this PC means a lot to me. It's the first time I've done something that I can wholeheartedly say I'm proud of. I plan on upgrading my processor to whenever Intel releases high speed 8 core processors, and I don't plan on upgrading my GPU for at least another 3 years. For those who are thinking about or planning on building my PC, my number 1 advice would be to do you're research, especially if you are coming into PC building new. It's an experience, a good experience, but still and experience, so don't be afraid to ask questions. Be confident. Great CPU. Overclocks like a beast, stays relatively cool under load, and handles anything I throw at it. Even handles memes! Keeps the CPU at nice, stable temps under load. And looks amazing at the same time! The pump makes somewhat of a buzzing noise at high RPMs however. 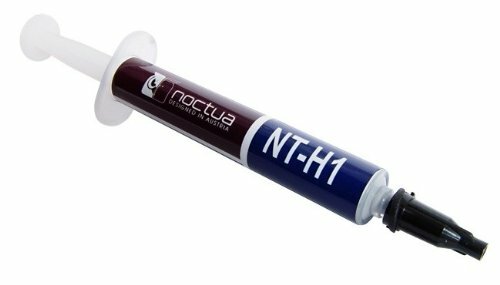 It’s thermal paste from Noctua. What else can I say? A masterpiece of a motherboard. Outstanding quality, easy-to-use BIOS, stable overclocks, and very aesthetically pleasing as well! Takes classiness to a whole new level. Reliable, stable, and beautiful (for RAM) :). Boots windows in 8 seconds while only being the size of a stick of gum? Yes please! Great speeds and plenty of storage for any amount of games I could want. Can’t expect less from a company like Samsung! I mean, it’s a hard drive. I guess it’s nice that it’s relatively silent and a large capacity drive too :). Gorgeous case. Oh, and it’s a breeze to build in too! “Activate Windows” watermark no more! Quiet and looks great (for a fan). Keeps the hot air out of your PC but keeps you sweating! RGB!! Works flawlessly and looks amazing! Great keyboard. RGB is bright and vibrant, Brown switches have just the right about of tactility, and it’s relatively easy to clean as well. Worth $200? Eh. But if you can find it for $170, WORTH IT! 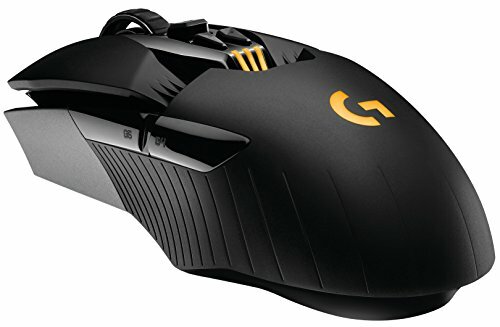 The best mouse I’ve ever used. Great response times and, you get used to the shape. I never noticed just how limited you feel when using a wired mouse! Sounds amazing, and the mic quality actually isn’t that bad! If your interested in this headset, try finding it for below $275. Really nice first build, congrats! Thanks! And yes, CABLE COMBS GALORE!! Inspired by BitWit? Name from Paul's Hardware? Thank you! And yeah, keeping a monochromatic/neutral color scheme was a big factor when I was planning this build out! Like the build a lot! 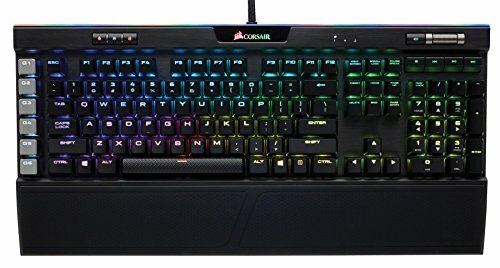 But I would put some RGB light in like corsair LL fans and maybe a light strip. Thanks! As soon as my NZXT Internal USB hub arrives, I’ll be connecting my Hue+ and RGB strips. I’ll make sure to add more pictures once it’s all done! +1 for the story behind the name i am 15 and have read those books a few times throughout my middle school life when i first thought about building a pc. Great build overall . 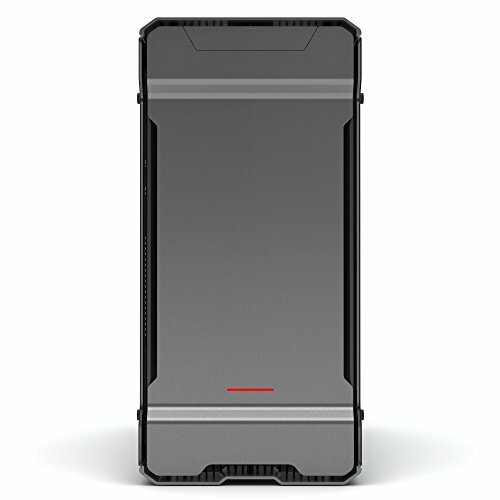 The GPU has a 3pin fan connector that is by default hooked up to the standard radiator fan that comes with the GPU. I bought a cheap 3pin to 4pin adapter off Amazon and connected that to my GPU fan connector and my ML120 to the adapter. Even if you do this, however, the fan never stays idle, even if there is no load. The lowest it will get to is about 30% RPM. I mainly bought the ML120 to match the aesthetics of the rest of my build, not really for a performance increase. The stock fan that comes with the GPU rad is mediocre at best, from what I’ve read. I believe the lowest the ML120 on my GPU rad will spin is roughly 30% because, since it is essentially receiving power from a 3pin power cable and the fan has a 4pin power connector, the fan speeds cannot be controlled as freely. As I’ve said, the lowest I’ve seen the fan run is about 30% RPM, but also, the highest I’ve seen it run is about 70-80%. If you want the aesthetics of the ML120, go for it. Otherwise, getting a 3pin SP120 may seem like a more viable option. I may not be understanding your question correct, but yes a 3pin fan will work the same as the original does (except for a performance increase over the stock fan) since the stock fan is also a 3pin. Using a 4pin fan will not allow you to set the fan speed at idle and will not allow you to set the fan speed at 100% in my experience. 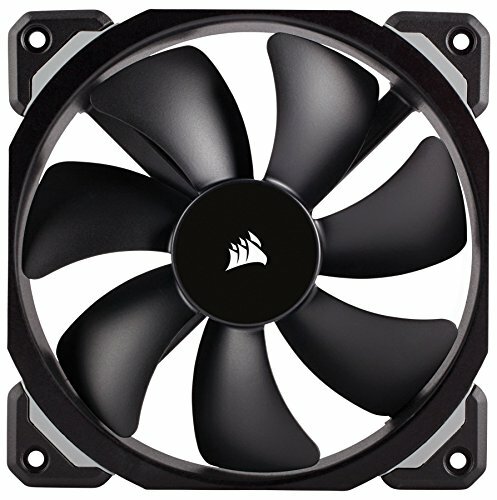 A 3pin fan should be able to go anywhere from 0% RPM to 100% RPM.